The free concert and reception are generously underwritten by David and Barbara Ehrlich and open to the public; donations to benefit Waterfront Village are accepted on-site, from the "Donations" button on our website, or by emailing info@dcwaterfrontvillage.org to advise the amount you'd like to contribute. An RSVP is not required but is helpful. Event Supporters: Chris Beck, Bob Craycraft, Katherine Crump-Wiesner, and Anne Martin. The Southwest Chamber Players are pleased to present a late summer concert. The program will feature David Popper's Requiem for Three Cellos; several of Max Bruch's "Acht Stucke," op. 83; both of Mendelssohn's Konzertstucke for two clarinets; and works of Grieg, Gershwin, and Saint-Saens. A light reception will follow. Admission is free, but donations to Waterfront Village are always welcome. The Southwest Chamber Players is a loose aggregation of dedicated amateur musicians who have performed at Saint Augustine’s Episcopal Church for the past twenty years. Formed in March 1997, the Players have presented concerts of fine chamber music nearly each month since. Including every one of the orchestra’s instruments, as well as singers of every voice range, their repertoire extends from Bach and Telemann through Prokofiev and Barber, with heavy emphasis on the works of the great composers of the classical and romantic eras. David Ehrlich, the director, learned the piano at the age of six from his father, Richard Ehrlich. Though his life’s work was in the retail business, he never lost touch with performing music as both pianist and singer. Today he hones his skills annually at the chamber music workshop in Chapel Hill, North Carolina; he also sojourned in South Carolina; Virginia; and Vermont. 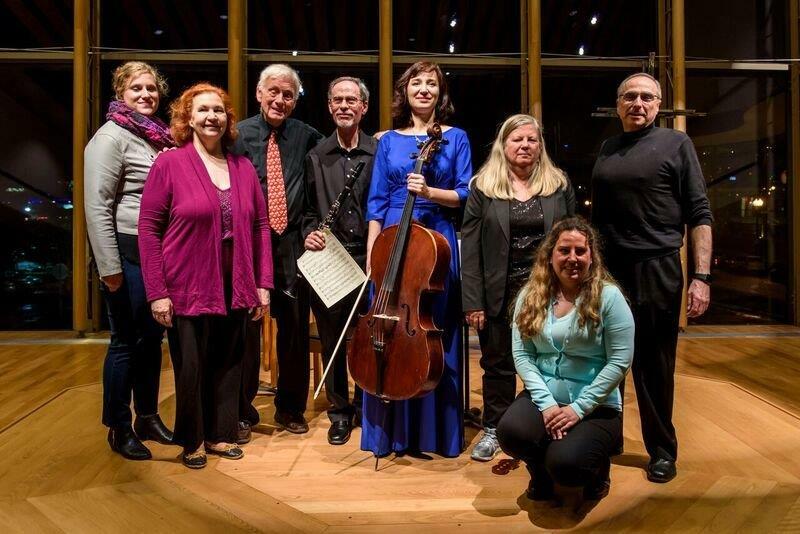 The Players' website, www.southwestchamberplayers.org, lists a fair sampling of past concert programs as well as biographies of many of the performers. None of the performers is paid, and no required dollars change hands for these concerts. Admission is normally free, however, the Summer Concert will be dedicated to Waterfront Village, our growing community organization aimed at encouraging our friends and neighbors to age in place, through carrying out various functions that will help them continue to live comfortably where they have already spent most of their lives. To that end, the Players will gratefully accept donations via the discreetly placed basket outside the door, or on the Village's website.